Thank you! I might do the same type of halos up front eventually, depends on how patient I am with removing the stock headlights. Awesome write up. I'll order those parts and give this a try. Thanks so much. nice! 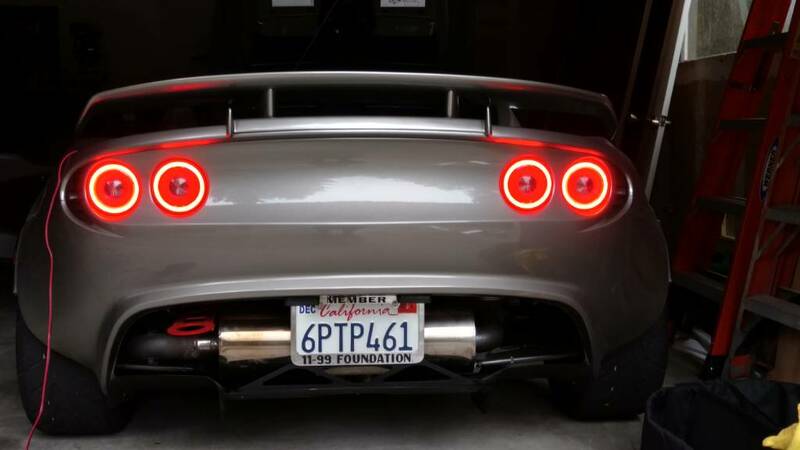 I'm going to do this to my 06 and keep the led lights in a little box under my bed as a retirement fund! I'll buy them. I need one side, since I have half a set. Looks like Greg's racing parts will be offering these for sale, so if you're lazy, not crafty, or have better things to do with your time, keep an eye out for GRP's offering as it looked almost identical on Greg's Instagram post. Nicely done Greg! Transforged is also developing a set, but full replacement instead of conversion. Great write up! With the diffused ring look, these look better than the expensive '06+ factory pieces imo. 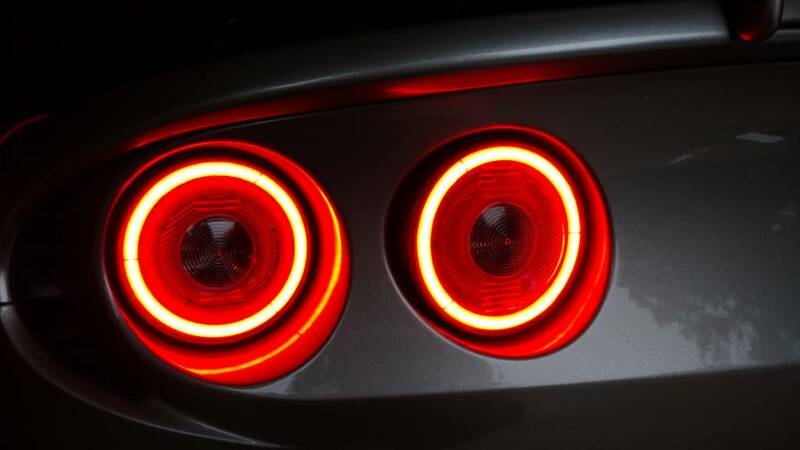 Do you think having just 2 rings(instead of 3) with the inside ring being full bright for the brake light would be bright enough? 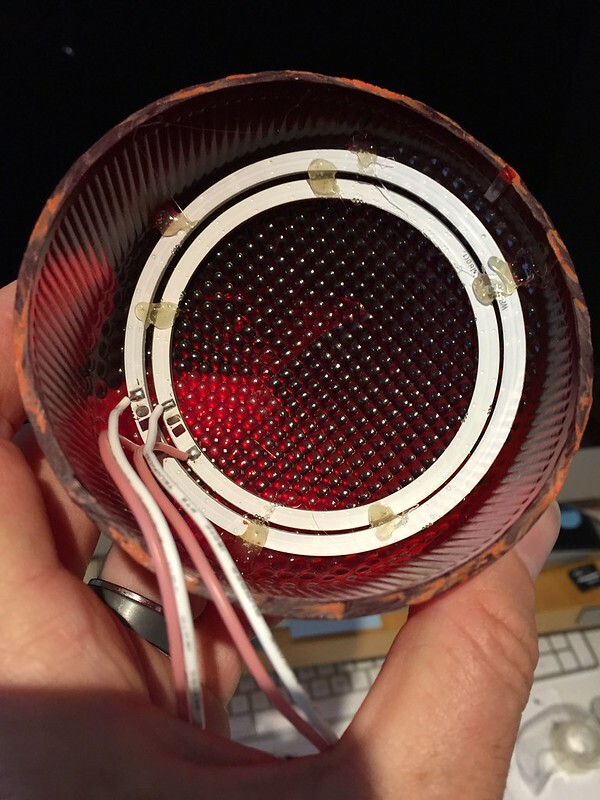 Could the unused center lens be used for a standard turn signal bulb instead of LED's? I'm thinking of trying this, but using LED's just for the running lights and brake lights, while hopefully using the standard center reverse lights, and using the center turn signal bulbs as the euro cars do. All 4 red halos are set to do running lights and brake lights. The 2 amber halos are set within the outside red halos and handle turn signals. They're "amber" because the red housing changes the color significantly​. But they are more yellow than the brake lights. I have a few pics taken right after install. I can take a video one of these nights to show how they function. Last edited by lobuzz311; 05-07-2017 at 06:15 AM. Hey man , I'm in the process of your DIY , I'm about 80% done , stuck on some last parts. Could you Help me ? Sorry for the long lapse in response, Yahoo mail sends all notification emails from LT to my spam folder so I almost never see them. I'd say you are probably okay with 2 rings; I did 3 because I wanted to be sure that they lit up enough to be noticed in daylight (they definitely do). And yes, you certainly could use the second set of unused centers as turn indicators, but you'd need to find the bulb sockets and wire in the pigtails. Those look awesome, nicely done!!!??? Thanks to hotspoons and lobuzz311 for their very useful posts. 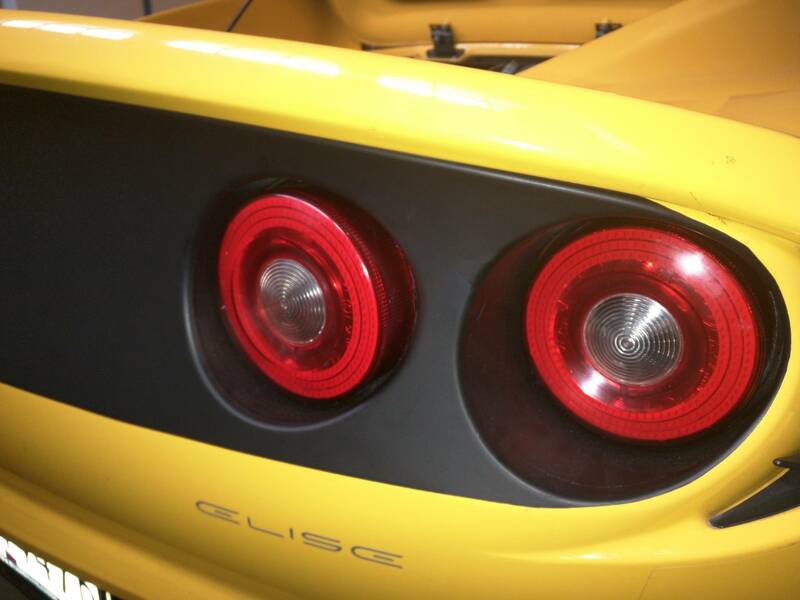 I’ve used them as inspiration to build led rear lights for my 1997 S1 Elise in Australia. I was impressed with the Diode Dynamics delicvered for 3 rings it’s a bit too expensive if it doesn’t work out. So, I’ve ordered some eBay cob rings similar to those used by hotspoons and hope that they work! Unlike the S2 models, the S1 was never made with led lights, so I may be doing some pioneering work! I realise that the S1s were never officially sold in the USA so this may be of limited interest, but please let me know if you’d like me to detail what I’m doing. This post is really to thank the members on this thread for the info and inspiration. I'd recommend superbrightleds.com over eBay's. I went down this road and the ones from SBLEDs are way brighter and they warranty their stuff. Cheaper than DD but more expensive that eBay. If you want to go eBay route I have a bunch I can sell you for cheap. Last edited by Rizzydee; 12-25-2017 at 02:02 PM. Thanks Rizzydee. The problem is that in the past few years shipping costs from the USA have risen to ridiculous levels. To get 2 pairs of led rings worth $28 delivered to Australia in 10 days would cost over $80! This is why I have gone to eBay. Shipping on 4 rings is under A$10 (US$6). Unfortunately finding a supplier in Australia is proving very difficult. In the future (or maybe for version 2.0) I would still consider Diode Dynamics. Ralph you can't get PMs. Shoot me a PM when able. I have already ordered some rings (should arrive in 3 weeks) and have fitted a new led flasher relay. 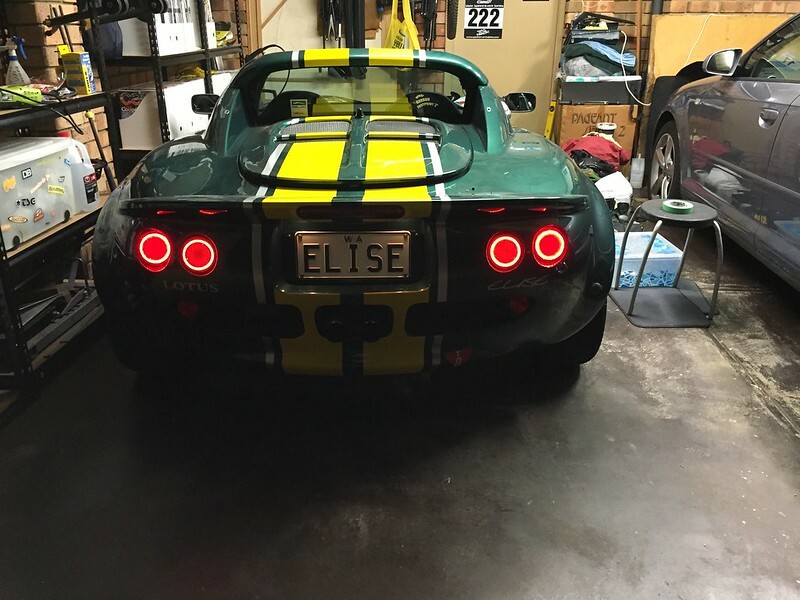 I’ve just about finished my l.e.d ring upgrade on my S1 Elise. 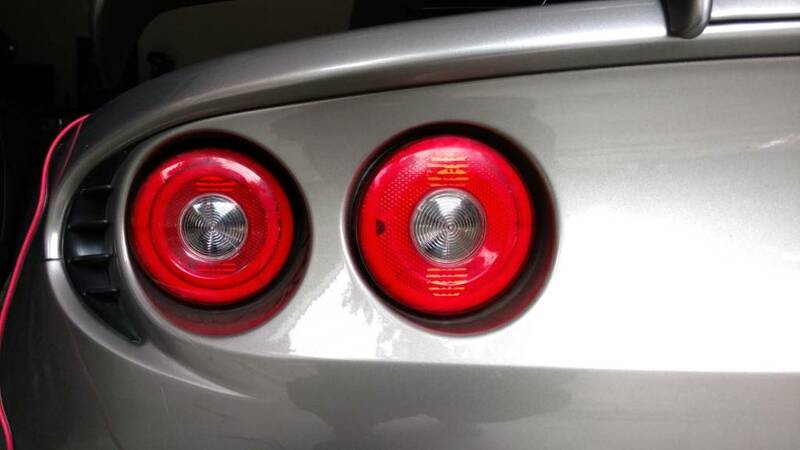 I have 4 rings for tail lights, (all red) with inner rings for stop lights and indicators. Last edited by Ralph_Mellish; 02-09-2018 at 11:24 PM. This is a great mod! I just finished doing the driver's side, now on to the passenger side. I did a couple of things differently. 1) Instead of using the diffusers, I made some aluminum rings then painted them black.